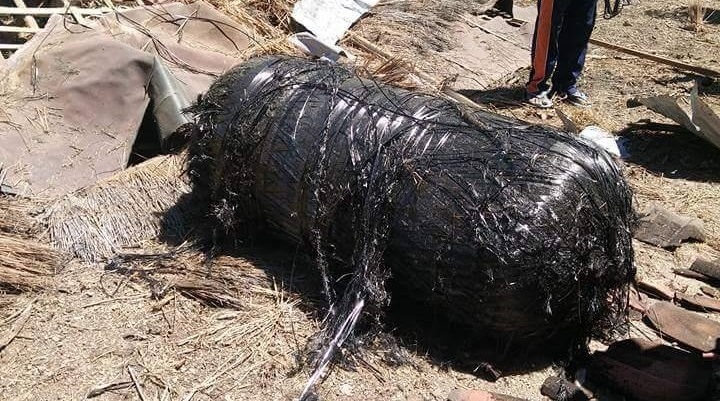 Large rocket parts rained down over a pair of small Indonesian islands on Monday when the second stage of a Falcon 9 rocket launched earlier this year fell from orbit and, at least to some extent, survived its fiery re-entry over the island of Java. At least two sizeable tanks were reported falling from the sky around 10 Western Indonesian Time in the Sumenep Regency on the eastern end of Madura Island located north-east of Java. The tanks landed on the small islands of Giliraja and Giligenting, causing damage to an animal enclosure but luckily leaving the animals and all locals in the area unharmed. The timing and location of the debris sighting is consistent with the uncontrolled re-entry of the second stage of a Falcon 9 rocket launched in August of this year. The United States tracks objects in Earth orbit and close attention is paid to large objects when approaching the natural decay of their orbit. 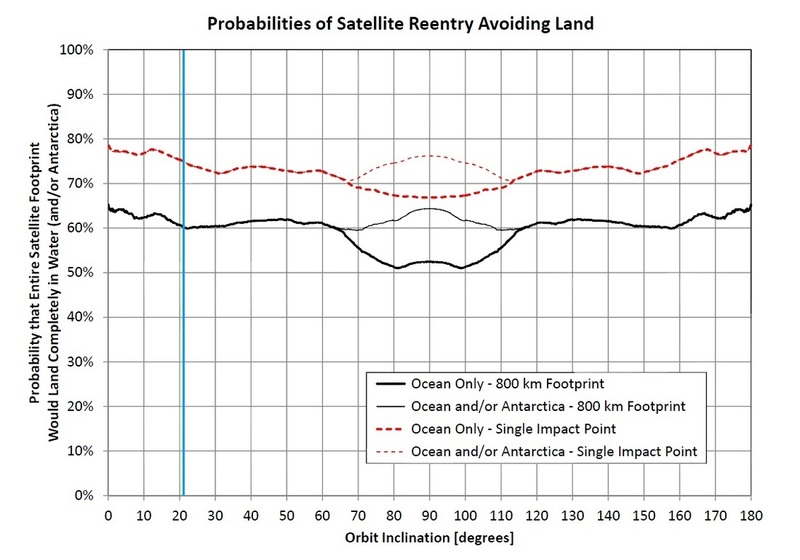 Ground-based observations yield orbital parameters for the objects from which re-entry predictions can be made a few hours before re-entry with an error bar of around an hour, however, observations with infrared-sensing satellites can detect the signature of a re-entering object and precisely determine the timing and location of the event. 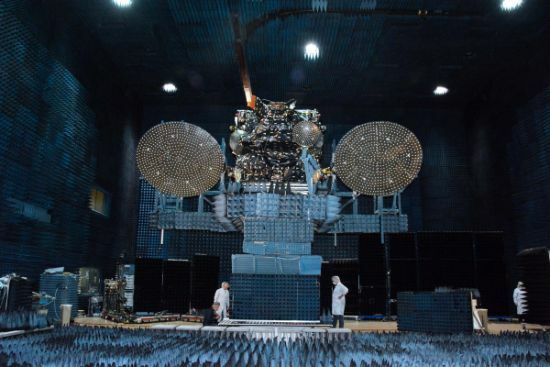 According to the Joint Space Operations Center, the Falcon 9 rocket body re-entered at 2:26 UTC on Monday (+/-1 Minute) in a position over the Java Sea. The re-entry ground track took the rocket stage across the islands of Java and Madura, confirming a connection between the debris impact and the re-entry. 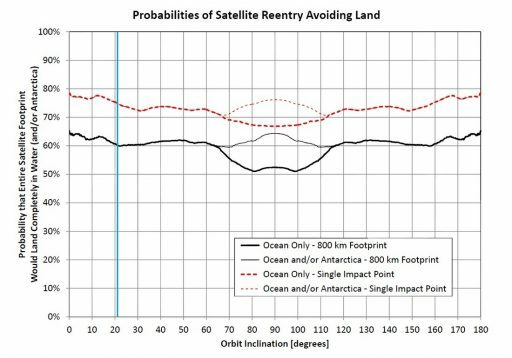 The actual position and timing of re-entry differ slightly from the data given by JSpOC with decay (80-Kilometer passage) occurring around three minutes earlier, further west than specified in the data. The coordinates given by JSpOC after entry are identical to data issued 80 minutes prior to the event and likely based on calculations rather than actual entry observations. 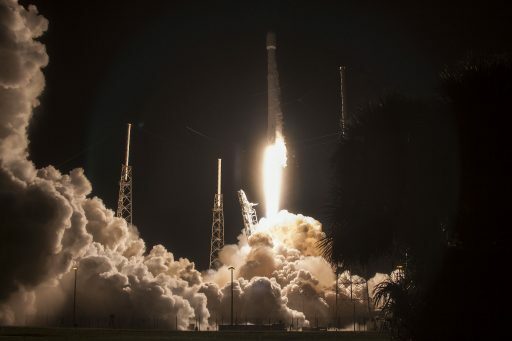 The 70-meter tall Falcon 9 rocket lifted off from Florida’s Space Coast back on August 14, thundering into the night skies to deliver the JCSat-16 commercial communications satellite to orbit. 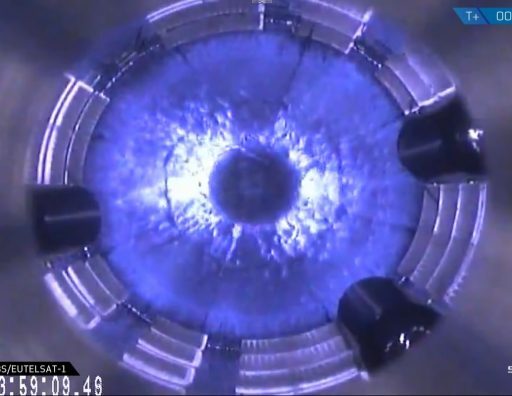 The first stage booster dispatched the second stage and successfully returned from the edge of space to mark SpaceX’s fourth successful recovery at sea, touching down on the Autonomous Spaceport Drone Ship. 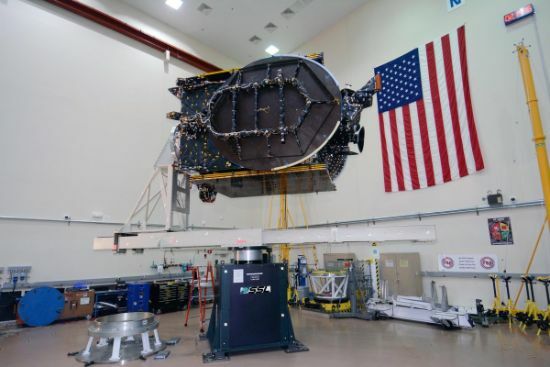 Stage 2 fired its engine twice, first to lift the stack into a Parking Orbit and again after a coast to boost JCSat-16 into a highly elliptical Geostationary Transfer Orbit. Typical for Falcon 9 second stages after a GTO delivery were orbits of 185 x 35,900 Kilometers or even higher perigee altitudes when different mission designs (e.g. Supersynchronous Transfers) were flown – giving the rocket stages an orbital longevity between a few months to several years. But this mission differed from all previous cases showing Stage 2 in an orbit of 74 by 34,400 Kilometers at an inclination of 20.9°. This exceptionally low perigee altitude indicated that the second stage either completed a brief retrograde burn, or what is more likely, conducted its passivation in a retrograde orientation at some point on its way to the high point of its first orbit. The release of pressurized propellants and high-pressure gas delivered the necessary impulse to lower the perigee altitude below the Karman line where atmospheric drag would cause a relatively rapid orbital decay on the order of a few weeks. It is common practice to leave upper stages of rockets in orbit to decay naturally over a period of a few days to several decades depending on the initial altitude of the vehicles. Every time the rocket stage passed the low point of its orbit, it encountered significant drag in the upper atmosphere, slowing it down ever so slightly and, as a result, gradually lowering the apogee altitude while the perigee remained relatively constant. The last orbital data taken around two and a half hours before re-entry showed the rocket stage in a 92 x 788-Kilometer orbit with a low-point over the Indian Ocean. Approaching its fiery demise, the 14-meter long rocket stage passed over southern Africa before heading over Madagascar and flying across the Indian Ocean, approaching Indonesia from south-west to north-east. 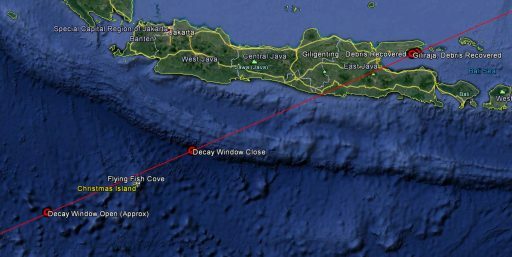 The ground track showed the vehicle passing close to the Cocos and Christmas Islands before flying over Java, passing south of Surabaya before reaching Madura. 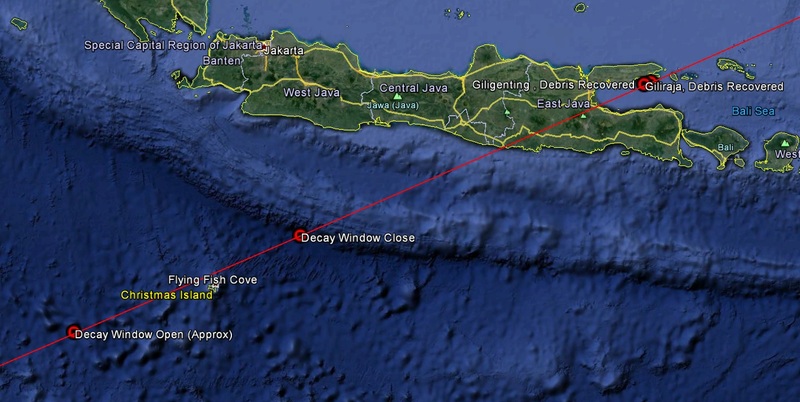 Based on the location of the debris, Falcon 9 hit the atmosphere as far as 900 Kilometers south-east of Java. 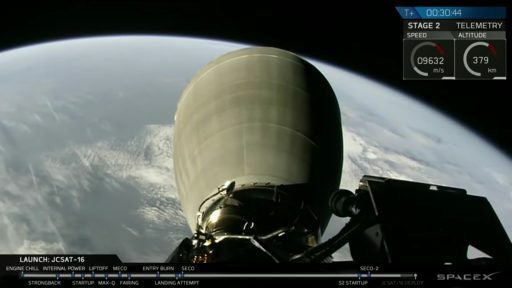 Dipping into the dense layers of Earth’s atmosphere, Falcon 9 – traveling at a speed of 7.8 Kilometers per second – will have encountered a period of plasma build-up around the vehicle, descending from about 104 to 80 Kilometers in altitude where drag began building up to a destructive force. Given the extremely high speed of the object at Entry Interface, air in front of the vehicle is compressed, creating a shock wave layer in which molecules are separated into ions and temperatures rise to the extreme. 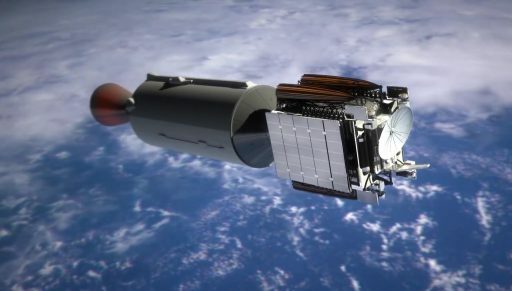 The shock wave layer forming just in front of the spacecraft and any separated components leads to considerable heating that causes the incineration of the majority of its structure – especially for rocket bodies that consist to a large part of hollow tank assemblies. The mechanical deceleration experienced during re-entry can be up to 20Gs, further crushing the structural components and causing the break-up of the spacecraft. Temperatures reached during re-entry can melt most metal types and the majority of fragments created on entry fully burn up, leaving a cloud of dust in the upper atmosphere. However, dense components such as pressurant tanks and engine components can survive re-entry and reach the ground. The two pieces recovered on islands near Madura are described as cylindrical vessels around 150 centimeters tall and 60 centimeters in diameter, comprised of composite material with visible serial numbers. These represent the upper stage’s Helium pressurant tanks that store the gas at very high pressure to be heated up in flight and fed to the propellant tanks to keep them at the proper operating pressures. Composite Overwrapped Pressure Vessels as well as metal pressure spheres are prime candidates for surviving re-entry due to their high material strength, designed to withstand pressures on the order of 300 bar. Similar objects were found in Brazil after the re-entry of a Falcon 9 rocket stage. 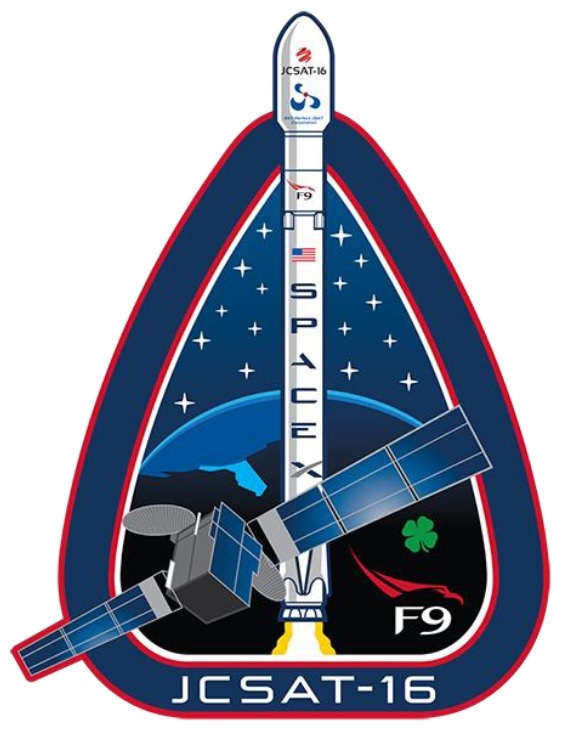 According to reports by locals, at least four objects related to the Falcon 9 stage were discovered, two of them in shallow waters near the coast. 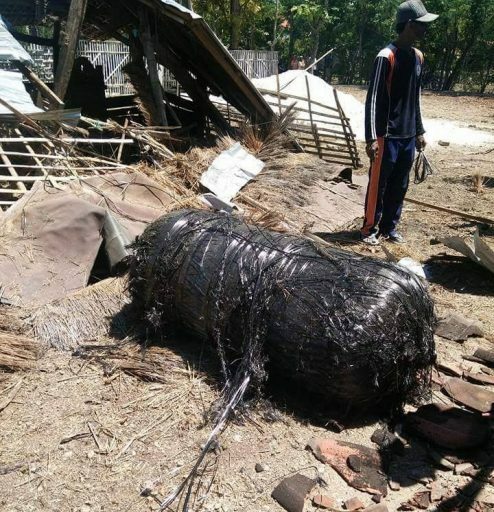 Photos shared by Indonesian media outlets show charred objects of different shapes and sizes, and reports also indicate that a sonic boom associated with the re-entry was heard. It can be expected that more debris landed in the area, though more dense components such as parts of the MVac engine likely traveled further with the toe of the debris footprint around 250 Kilometers off shore in the Java Sea based on numerical analysis of the latest known orbital parameters. Dense components that survive re-entry usually impact 800 to 1,300 Kilometers downrange from the Orbital Decay Point – Atmospheric properties such as crosswinds play a significant role during atmospheric descent and may have carried components of F9-028 several Kilometers from its ground track. Monday’s incident was a rare re-entry event over a populated area, showcasing the danger space debris can pose to human life and property and illustrating the importance of mitigation techniques such as deorbiting spent rocket stages or bringing sizeable objects to a controlled re-entry over remote areas.